The first of the new VHs for the 65 has been delivered today. I'm sure you already know the answer to that one. 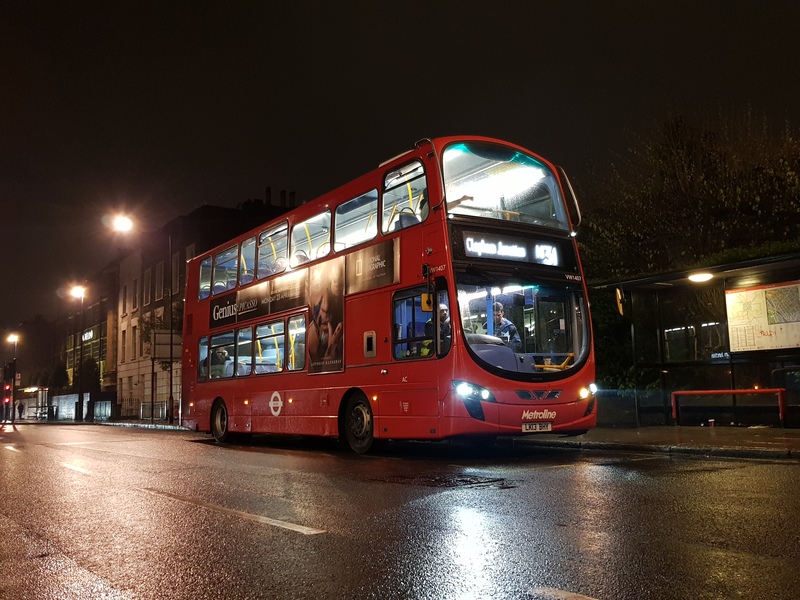 Finally driven a E400H MMC in service and have to such really lovely vehicle to drive and operate in service. Very well thought out price of kit. These, SP38 I drove yeaterday, the ADEs and DLEs are my current favourite things to drive. 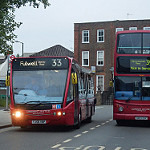 B5LH are definitely second best overall to the E400H MMC except for 30mph+ speed. Yea they are definitely ugly, I must say the red headlight surrounds look absolutely terrible on the Gemini 3. Why are there still 3 DPS on Route 72? Surely there are enough E200's and is it refurb cover? The 72 only has 25 DE's out of 26 and I guess is awaiting one to transfer in. As I understand it, most of the 72's DE's are already refurbished and only a handful are outstanding, mainly ones from the C1. B5LH are definitely second best to the E400H MMC except for top speed. I've just overheard a couple of drivers on my bus mention that there are 8 new VHs parked in Fulwell now. Is this correct? I wonder when they’ll enter service. Does anyone know why double deckers have stopped on the 371 last one was the 13th. Route gets very busy so double deckers are needed. There is currently a diversion down back streets in the Norbiton area which might be causing problems with the deckers. 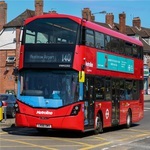 I did mention before that you do have some HVs that are quicker than the E400H MMC and that was before I ever drove a E400H MMC, simply because I was easily sticking to E400H MMCs where the driver's were putting their foot down. However the MMC constant pull to 30 is more consistent than a B5lh some b5lh even fast ones still tend to lag sometimes when moving off before they pick up and go and also the MMC rides much better. It's this inconsistency that use to annoy me so much and the fact of changing gears. There is no doubt HVs like 221, 224, 261, 263, 267, 268, 376 to name a few would leave any E400H MMC for dead from start to finish. However the overall smoothness and consistent acceleration of the MMC I prefer. Even when the engine kicks in there's no delay like you get on the b5lh. Yep, Park Road is closed so DEs are diverted from the London Road Roundabout, up Kingston Hill, left Brunswick Road, left Brunswick Road and left Brunswick Road, and right into the line of route. DLEs are a different story. It is diverted from the London Road roundabout, up Kingston Hill, left QUEENS ROAD and left Kings Road, and 3rd exit onto Park Road onto Line of Route. DDs can’t get onto the Kingston section as they are too long for the DE route and too tall for the DLE route. The 65 did it when it was on diversion yesterday. Personally, I don't think the RATP VHs don't look that bad, but other operators' standard designs with the black headlight surrounds are better. The RATP E200 and E400 MMCs look absolutely horrid though with their over the top redness. What I think looks really good on Mark 2 Gemini 3s in London is that the early versions' blinds used to be placed quite far behind the glass window and shadows would make the blinds quite hard to see in the daylight and different angles, but ever since Metroline's LK67 batch on the 222, the blinds have been brought forward, up to the glass, and that makes the bus look much more better, friendly and the blinds are more legible.